We’ve had a great first club session tonight. 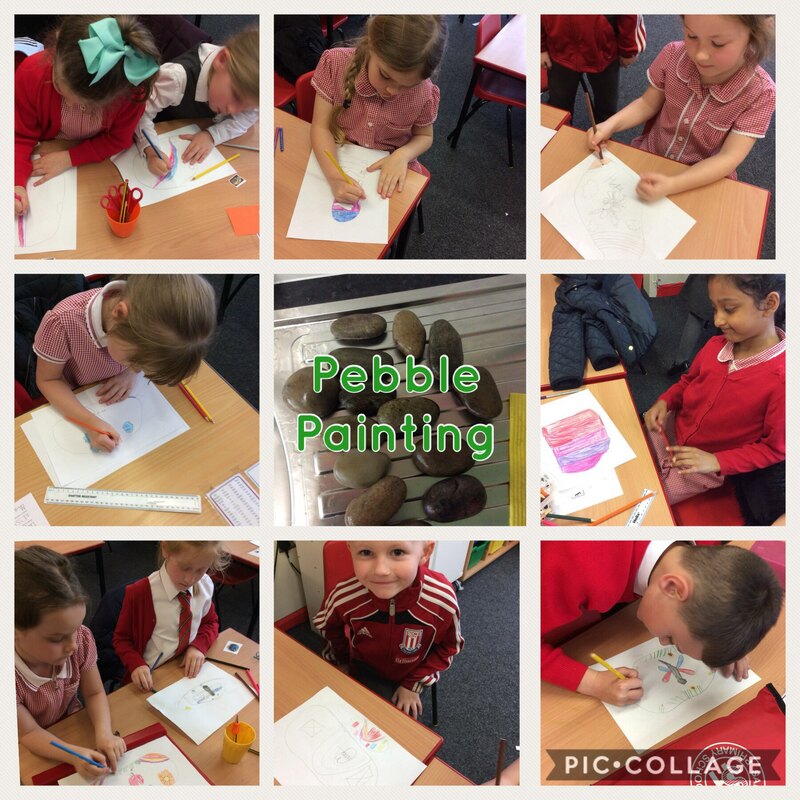 We selected our own pebble and designed our first pebble painting design. Our first pebble theme is ‘love and hope’. We can’t wait to start painting them next week! Don’t forget to bring an old, over-sized t-shirt/shirt to put over your school uniform next week. This entry was posted in Year 2 and tagged Art on April 24, 2018 by Sandford Hill. That’s lovely to hear. I’m sure that your pebbles will look amazing when they are finished! Great work everybody!